What are The Most Romantic Gift Ideas for Women? We are natural born romantics! Every little girl dreams about being a beautiful princess that is going to be carried away by her handsome prince…. We love being loved……. We love listening to our love say “I Love You”……… Hundreds of times a day! *I love this cute ad romantic puffy heart necklace! Guys, you are in luck! I am here to help you pick the most romantic gift for your woman! I came up with a list of the top romantic gifts for her! Pick the one that you think is most compatible with your girl! **The romantic gift ideas for women from this page reflect my own personal opinion and some research done online. The Most Romantic Gifts for Her! 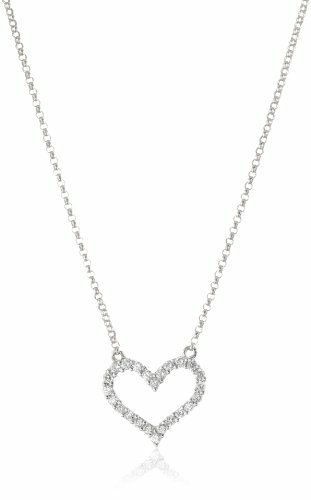 If she likes to wear jewelry, then I would highly recommend buying her a cute and romantic heart necklace! It is definitely one of the most romantic gift ideas for women! 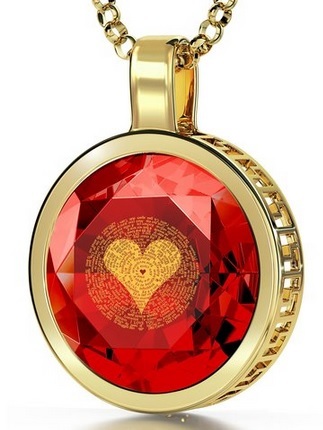 Heart-shaped lockets still remain the number one most romantic gift for her in my opinion…. 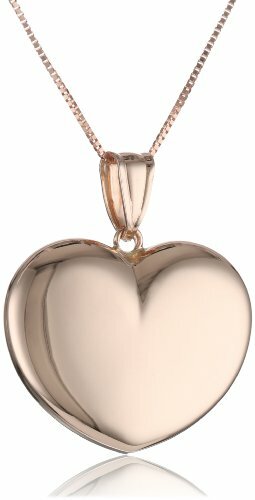 This rose gold heart shaped locket is gorgeous because you can see the cute triple heart design making a wonderful contrast with the rose gold…. Very Cool I Love You Necklace In 120 Languages! Coolest Romantic Gift Idea for Her! Just choose one of these amazing I Love You necklaces in her favorite color! It comes in 8 beautiful colors, including purple, pink, blue and black! What a fun romantic gift idea! 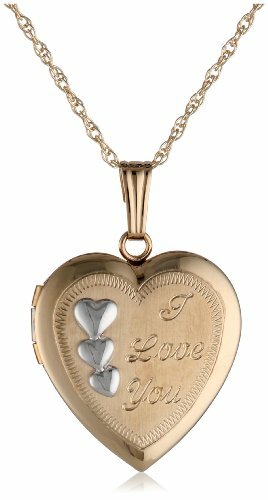 Beautiful Heart Shape Romantic Jewelry Box! Nice and Romantic Gift Idea for Women! 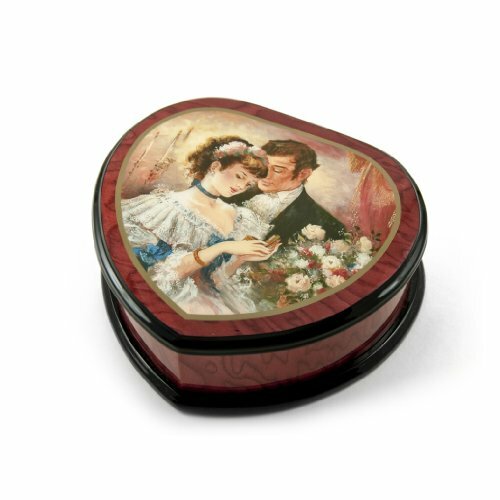 Another great and romantic gift idea for women is a beautiful jewelry box! This is a gorgeous and definitely very romantic heart-shaped musical jewelry box for sale! 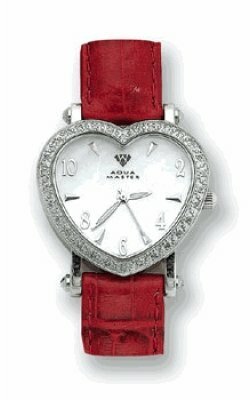 How about a Romantic Diamond Heart Shaped Watch? I bought one for myself a few years ago and I love it! It always gets me compliments! 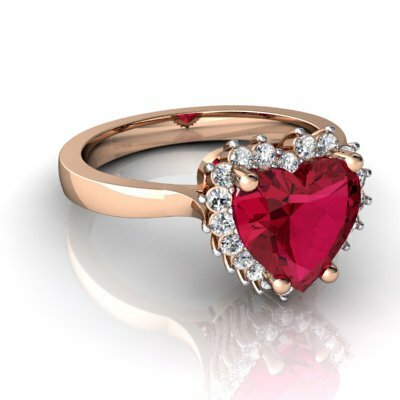 How about a Beautiful Ruby and Diamond Heart Ring for Her? The Most Romantic Gift Ideas for Women! You can never ever go wrong with a beautiful heart-shaped ring for her! We LOVE heart jewelry and this gorgeous ruby and diamonds heart shape ring will take her breath away! Beautiful Real Rose Dipped in Gold! Another extremely romantic and delicate anniversary or birthday gift idea for her is this gorgeous red rose dipped in gold! It comes in a beautiful crystal vase! Cute Heart Shaped Throw Pillow! 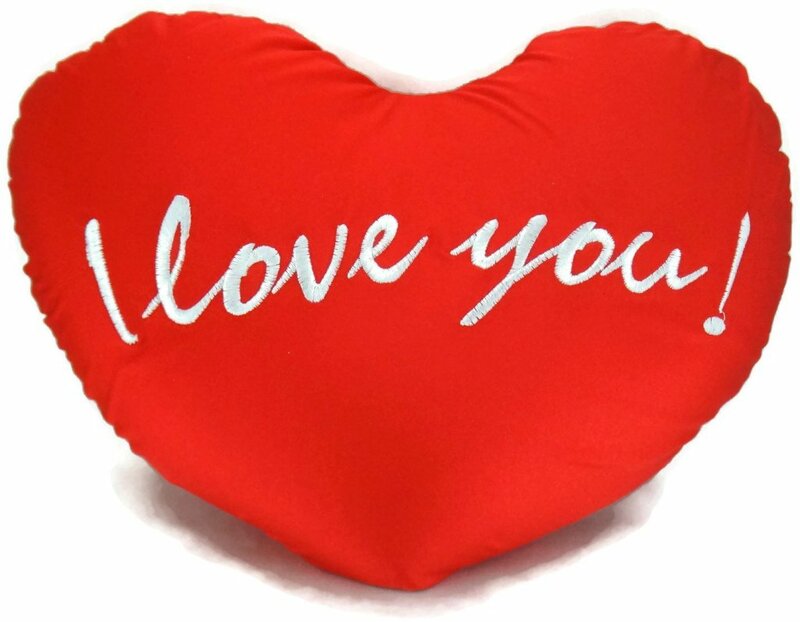 A cute heart-shaped red pillow saying ‘I Love You’ always makes a fun and affordable romantic gift idea for women of all ages! I Love You This Much 5 Foot Giant Teddy Bear! Fun and Romantic Gift for Young Women and Teen Girls! It is still among the most bought and most romantic gift ideas for young women and teenage girls! Every time she misses you, she can hug her gigantic teddy bear and imagine she is in your arms! Romantic Gift Ideas for Her! Lladró Perfect Match Couple Figurine! It will reming her that you guys are a ‘perfect match’, together forever! 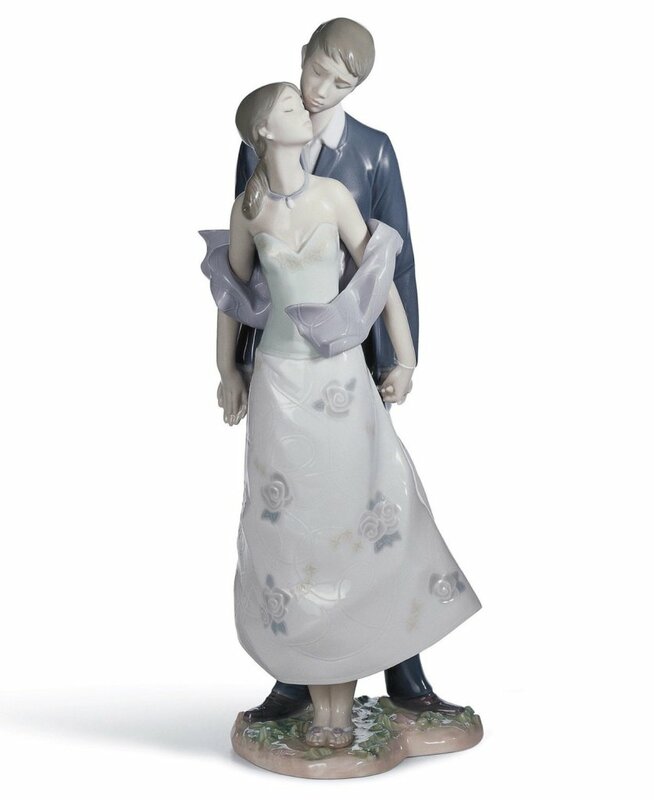 If you want to keep browsing for more romantic gift ideas, check out these!